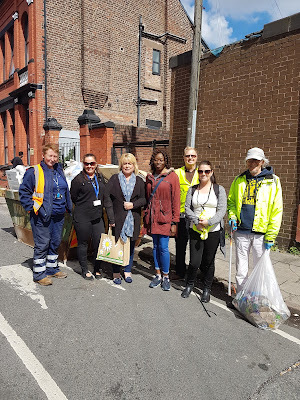 Working with our partners, Liverpool City Council we spent this afternoon litter picking on the Webster Triangle with the community and local volunteers. We had a really successful and productive afternoon. People from the community once they saw what we were doing joined in. The young people in the area helped the adults identify what needed picking up! Everyone was in good spirits and agreed after all our hard work the area looked much better. 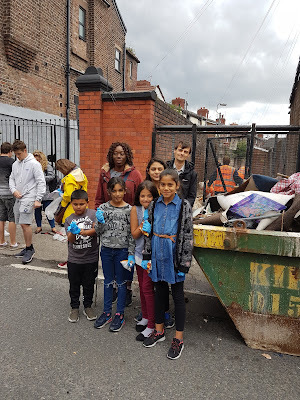 To support our work, Liverpool City Council had earlier that day located in the immediate area three eight tonne community skips funded by the local ward councillors. By the time we arrived in the afternoon they were full to the brim. 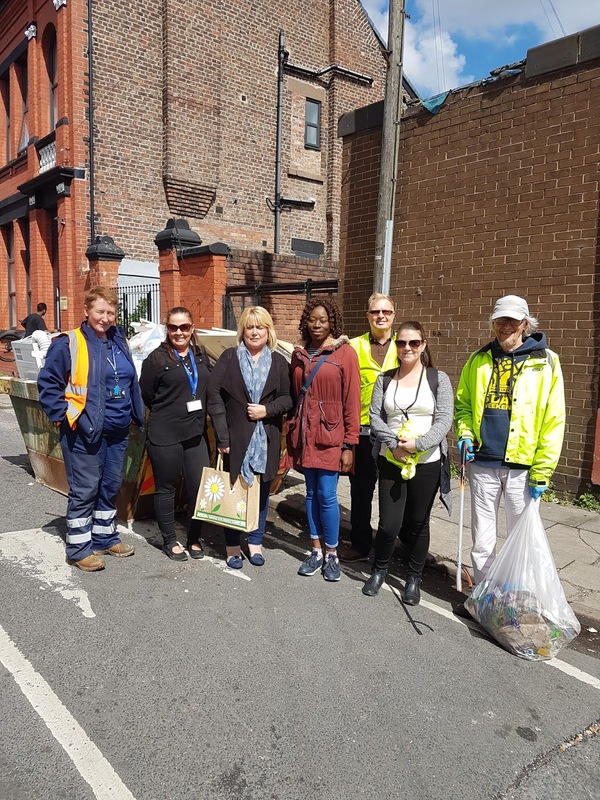 We all agreed that working together on the day had certainly helped in making the area both cleaner and greener.